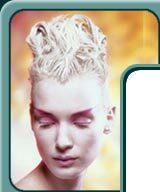 Manantial Image Facial: $65 Customized skin analysis, deep pore cleansing and skin toning, followed by a masque of the face, neck, (that uses European techniques of manual extractions.) includes aromatherapy Collagen Blanket Facial: $90 Native collagen has been proven for it's qualities of regeneration, hydration, and healing of scar tissue. Intensive Anti-aging, moisturizing and skin renewing core, this treatment is excellent for visible results on lines and wrinkles. Recommended in a series of 6 or more treatments. Free Eye Contour Treatment with each Collagen Facial when you buy Package. Teen Skin Series Acne Treatment: $65 Teenagers are generally very sensitive about their skin, so we have created a series of 6 or more treatments designed to give direction and instruction to control oil secretion and help in eliminating blackheads and infections. Advance Skin Care Glycolic Peel: $50 Provides an even non-aggressive exfoliation of dead skin cells, diminishes impurities, clogged pores, pigmentation, and fine lines. Herbal Deep Peeling: $60 a session ( Free Consultation to determine a customized skin care regimen just for you. )includes the peel and follow up facial. This facial is for acne, pigmentation, ageing, stretch marks, blackheads, and enlarged pores. Back and Shoulder Facial: $60 A deep cleansing treatment for the hard to reach areas of the back, neck, and shoulders, removes impurities, releases tension and leaves the skin clean and soft. Waxing prices vary depending on hair type and amount of hair. Organic and Europe wax used.